...is Miss Jane Bennet of Classic Ramblings. Thank you very much! Without further ado, here is her entry. Oh, dear, I am in such a sorry plight! I really do not know what to do. I recently married Sir Percy Blakeney, Baronet. I thought he loved me, but a mere twenty-four hours after our wedding all love for me seemed to vanish. You see, I, in the foolishness of youth, denounced the Marquis St. Cyr and his family to the French Revolution. He was guillotined. As soon as Percy heard of this, he seemed to lose all love and trust for me. He still gives me many presents and showers jewels upon me, but those don’t make me happy. He seems to be indifferent to my sufferings. I have practically begged him to forgive me, to no avail. Please give me advice! I want my husband's love back. WHAT an HONOR it is to have a correspondence with such an important personage as yourself! My nerves are so dreadfully in a flutter. I have such poor nerves, Lady Blakeney, and my husband has no compassion on them. It is really terrible of him. You are so FORTUNATE to have married such a man as Sir Percy Blakeney! A baronet! I wish my girls had been half so lucky. My youngest, dear Lydia WICKHAM, recently married a Mr. Wickham. He is such a charming, handsome man, but as he is a soldier (and a most IMPORTANT one too!) he hasn’t much money to spare. As you are so rich, perhaps you could send him and Lydia a bit of help occasionally. I know they could use some help with their rent, poor souls. You get presents of jewels and they don’t make you happy? What more could you want? You should not be so selfish. My poor Lydia is so poor, and yet she makes do very well. She is always so cheerful, and never complains. You are really too lucky. My girls should have caught that baronet. 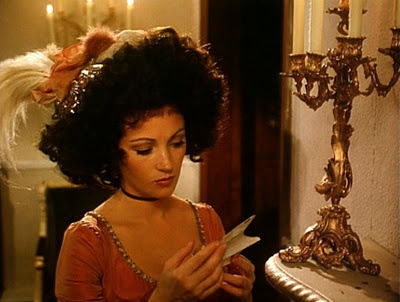 However, I suppose that Jane, my eldest daughter, is much more beautiful than you are, and had he but seen her first, he would have completely forgotten you. However, we cannot all have what we want, and my Jane has five THOUSAND a-YEAR! 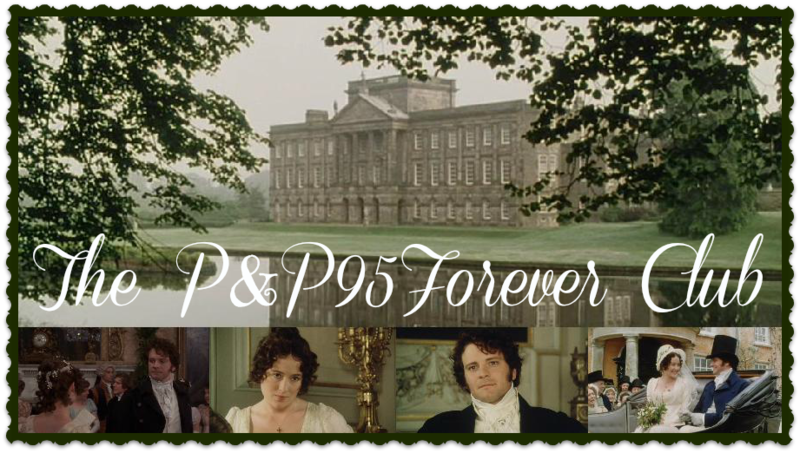 So I am very happy for her, even though it really would have been better for her to have married Sir Percy. I expect his fortune is very large. I congratulate you on your extremely fortunate match. It is no doubt much more than you deserve. Be not alarmed Madam on receiving this letter by the apprehension of it containing anything disgusting to you. You have been recommended to me by my younger sister,, who regularly reads your column. I must confess that although I appreciate extensive reading for the improvement of the mind, I have not yet read your columns. I recently rescued my close friend, a wealthy gentleman who shall remain anonymous, from a most imprudent match. The lady in question has some very strong objections on her side and I doubted the strength of her attachment to him. However, although he has been successfully rescued, it is difficult for him to forget this brief infatuation. His appetite has suffered, he is prone to fits of daydreaming and indeed, is in a truly melancholy state. I ask for your advice on how to "cure" him. By what means can I help him to forget and be once again, his normal self? I understand most fully how this wealthy young gentleman must feel. My eldest daughter, Jane, the most beautiful girl in the entire district (and we dine with no less than four and twenty families!) has recently been through a most difficult time. A wealthy young man - FIIVE THOUSAND POUNDS A YEAR!!! and most obliging, all ease and charm of manner - appeared to be very much attached to her. In fact, I was already deciding what her wedding clothes would be when without so much as your leave, he departed from our neighborhood! Like your unhappy friend, my dear, sweet Jane is most upset and languishes. I am sure she will die of a broken heart, and then he will be sorry for what he has done! But you say that the young lady was not suitable for your friend? Well, then, my advice would be for your friend to come to Meryton. You say he is young and rich and I am sure he is in need of a spouse! 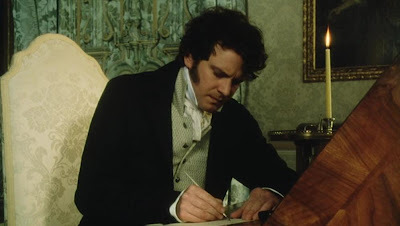 Why, it is a truth universally acknowledged, that a single man in possession of a good fortune must be in want of a wife! My five daughters are all most charming young ladies and are sure to please your friend. (By the by, how much does he earn? As much as FIVE THOUSAND a year?) We can kill two birds with one stone if he and my beautiful Jane are attracted to each other as I am sure they must be. Haye Park or the great house at Stoke (but NOT Purvis Lodge as the attics there are dreadful) will do your friend very nicely to stay in. Official notice to cancel Miss Georgiana Darcy's subscription to Ask Mrs. Bennet. They are both so clever! Gotta love Mrs Bennet's reply to Marguerite! That's exactly how she would think! And it's easy to guess it's Mr Darcy's writing in the second letter. Sounds exactly like him! Love how quotes from the book are used. Very clever, indeed!